COMMENTS: The design is beautiful-and I’m not even a cat person.. I love MW trays- very convenient for my last craft show of the season, not too many bars, very easy to unmold and cutting is a breeze. It’s the perfect fundraiser too for our local animal shelter. "Kitty Cat soap mold is great!" COMMENTS: This is a super cute kitty cat mold. Especially handy to have molded areas for straight cutting. Great for cat lovers! I used for melt and pour soap. My niece loved it for a gift. COMMENTS: Don't think u can pour ur base into a few cavities and make just a coupla soaps, becuz you have to make the whole slab of nine guest soaps with each pour/fragrance, yielding about 3oz bars, after you cut them apart. I call these 'hefty guest soaps'. The design is absolutely adorable! COMMENTS: Great molds for melt and pour! I haven't tried cp in them for awhile, the last time I did, I had trouble cutting without the edges crumbling. But I'm still hopeful that this was due to my formula! I love all of the different designs! "FAVORITE FOR MY CAT LOVER CUSTOMERS"
COMMENTS: I love the fact you can make different styles in one mold. My cat lover customers LOVE THE SOAPS MADE FROM THIS MOLD. 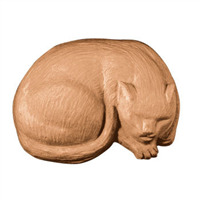 Accent the cats in a different color, or poured all in one color, this mold is fabulous. And the separation lines are a BIG PLUS, as I can't cut a straight slice for the life of me. This mold makes it so easy!